I am in my third life. My first was as an educational psychologist, the second was as a full time housewife/mother, and the third, as a fiber artist. As a fiber artist, I have explored freeform crochet and have created handbags from up cycled upholstery fabric. Finally, I have found my voice. 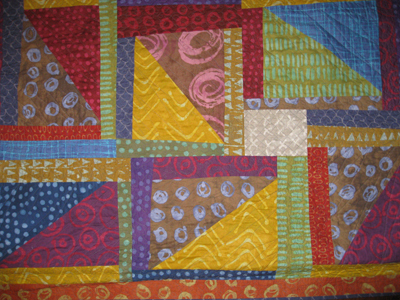 I consider myself a "colorist" whose medium is fabric and whose processes include piecing and quilting. Color brightens my day, my home and my work; color intrigues me as do the relationships amongst them. 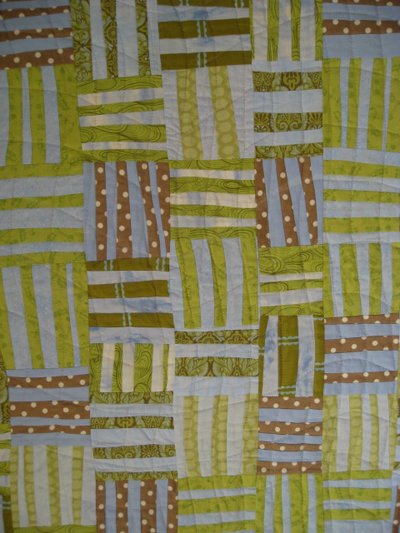 My quilts are made spontaneously and with no predetermination as to outcome. 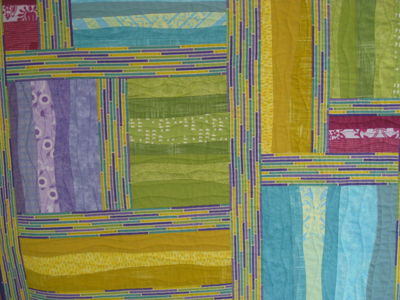 Each has its own pattern, vibrancy and personality.